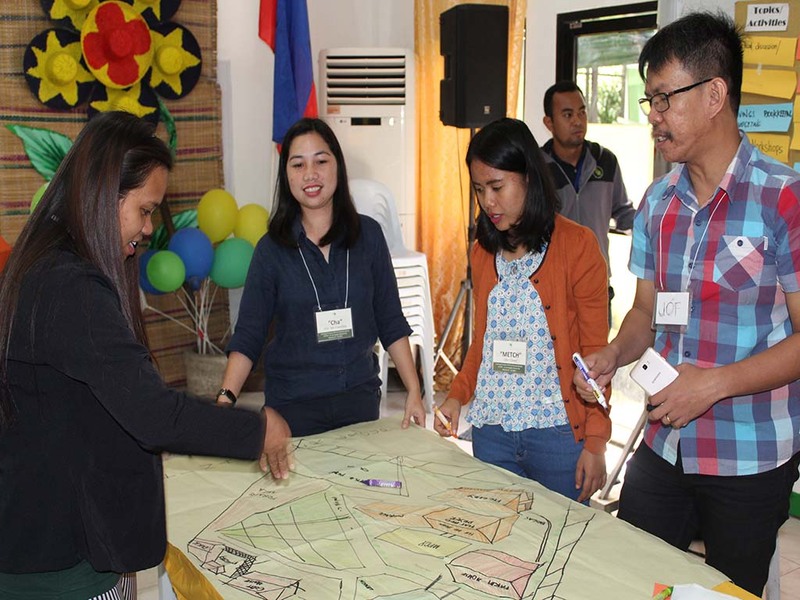 Participants cooperate each other in conceptualizing a farm plan during the conduct of financial literacy training on February 11-13, 2019. LOS ANGELES, Butuan City- The Agricultural Training Institute-Regional Training Center (ATI-RTC) 13 recently conducted a 3-day Training of Trainers (TOT) on Financial Literacy from February 11-13, 2019. Twenty (20) Agricultural Extension Workers (AEWs) from the five provinces of Caraga and ten (10) ATI staff joined in the said training. This was aimed at orienting participants with Agri-Credit Programs and be refreshed with financial literacy for an effective delivery of such program to the farmers. Ms. Dina T. Mejias from the Department of Agriculture- Agricultural Credit Policy Council (DA-ACPC) served as the resource speaker during the training. She discussed topics on financial literacy and its significance such as budgeting, savings and investment, and debt management as well as the financial negotiations and other financial services. Moreover, Mejias oriented participants on the Agri-Credit program including features of the program as well as its lending policies and guidelines, procedures and requirements in applying loan. Business cycle and character of successful agri-enterprise and financial recording, bookkeeping and auditing were among the topics presented by Ms. Violeta T. Laguna, training’s Project Officer. Filipino values were also discussed by Dr. Victor Emmanuel Ozarraga from Gawad Kalinga. He emphasized on the transformational leadership by encouraging participants to act as leaders to their clients, the farmers. It will be realized by creating a vision which is largely influenced by what he/she holds to be important and that reflects the person’s values. As AEWs and public servants, everyone must act as one for a more meaningful service. Said training was held in ATI Training Hall, Los Angeles, Butuan City.